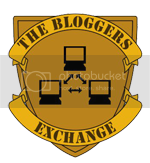 If my other blog was recently awarded a very meaningful award, today it's MPG's turn to take centre stage with this fabulous Queen of Blogs Award! This wonderful recognition not only made my day, but also inspired me to dedicate even more to Mariuca's Perfume Gallery. It really is such an honour to be acknowledged in this special way, and I was touched to know that MPG in her own rights and reasons, have inspired another blogger to bestow upon her, the most beautiful award I've received to date! Thank you to PrettyFireFly for making my smile a little broader, my step a little bouncier and my heart a little lighter with her kind words that she left for me, together with this award. This award comes in pink, silver and purple by the way. Click here for the complete rules. I know it's not much, but I know you deserve to be called "Queen of Blogs". I’m new to this (blogging) your site truly inspires me. You may not know it but you inspire people to be a better blogger and to be a better person somehow. 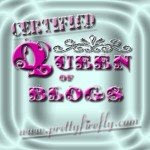 You may share this award to anyone who deserve to be called “Queen of Blogs”. I am sharing this beautiful award with my beautiful friends, who in their own way, have inspired me to be a better blogger with their awesome blogs. And in no particular order, they are Emila, Bing, Mize, LadyJava, Jean, Janice, Monica, Jackie, Lainy, Liza, Debbie, Ane, Roxy, Kim, Shemah, Nessa and Rozella! CONGRATULATIONS! PS. This is a special ** post! I am giving away linky love to the first 2 commenters instead of the usual 1, go for it! WOHOOO!!! am having the fastest heartbeat just now!!!! yay finally got to chop again!!! i was here since 1am; keep on refreshing!! then i see a new post! goodnight GP! be back here later..so sleepy now. am late by 2 seconds!!!! It is U Miss Y! HP Dance in da house woo hoo, nak join!! I saw ur name on FF’s list GG, congrats! Ha ha ha lama u tak chop here Emila, YAY! He he he lucky u refreshed nonstop Emila itu! Syabas!! Yesssssss laaaaa ha ha!! 1 point each for u and Jean and avatar oso! Jean, u wan TGB or AGP? Emila? Stick to EIB or u wan to promosi ur other blog? sit ubu sit, good dawg! EIB la...want to post this tomorrow at EIB!!! thanks heap dear!! yes aaa?? alamak i forgot to visit her!!! Ha ha ha mcm tu la I rasa kat EIB Emila ha ha ha!!! yes la!!! o got oso!!!! :* :* :* :* to prettyfirefly!!! Ha ha ha tu la I saw ur name on the list just now! I like the purple and pink one too Jean, but my fave is this one here YAY! Jean, some more u are oso TCO here! hehe but still missed 2 seconds!!! He he he! Takpe whenever u’re ready Debbs! Just make sure there’s plenty of good food YUM! i got stuck oso sometimes. I agree mommy and son so cute dancing together-gether! YAY! Me??? The QUEEN OF BLOGS? Wow! Thanks for this lovely award MArzie! I can't wait to grab this one, hahahaha! BTW< I still haven't made to FC here, tsk! tsk~ Tsk! i just woke up te! cool!!! pink lorry! can angkut me inside as well!!!! hehe lama giler tak bukak spicy!!!! I think you definitely deserve it!! Recent blog post: Jelly Beans Anyone? No la where got sleeping? Ha ha! I did Mon!! And just in time too he he! Thanks sweetie! Looking at the number of comments on every post, I would definitely second that. Congrats. Ohhhh ok pinky for u he he! Congrats! Yup! Silver! How abt you Mon? Congrats to you and all the following recipients. I know few of them, and I think they deserved it!